Gwary whek yu gwary tek: good play is fair play. That’s the motto of the Cornish Wrestling Association, formed in 1923 to promote the Duchy’s traditional sport. Today the Association’s still very much around, and ‘wrasslin’ is experiencing a powerful revival. It’s an ancient skill. In 1415, at the Battle of Agincourt, banners borne by Cornwall’s fighting men carried symbols showing wrestlers. During the historic meeting of King Henry VIII with Francis I of France near Calais in 1520, events celebrating their friendship included wrestling competitions; Cornishmen roundly defeated the French champions. The art was recorded in Richard Carew’s 1602 Survey of Cornwall, and by the 19th century great wrestling rivalry had grown with the men of Devon, who had their own style and rules. 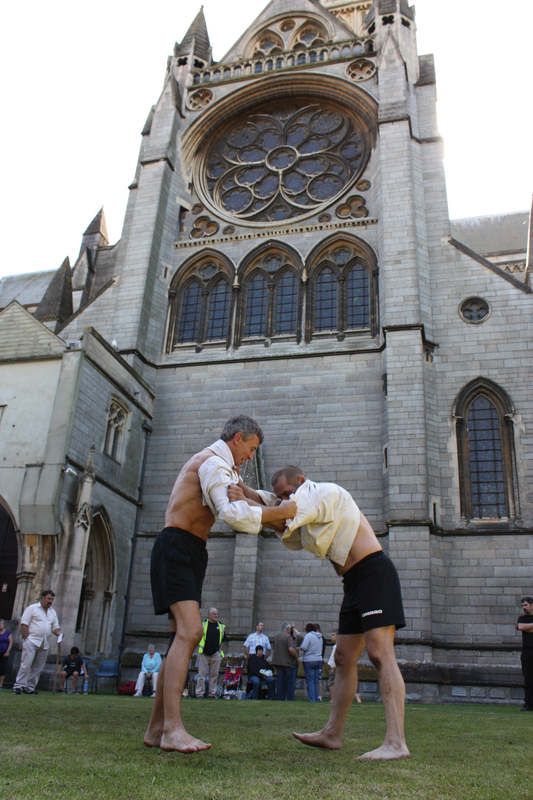 So how does Cornish wrestling work? The object is to throw your challenger, from a standing-up position; no grappling or holding on the ground is allowed, a measure intended to bring out skill and technique rather than relying on strength alone. A bout begins when the competitors grasp each other’s jackets by collar, lapel or sleeves in what’s called a ‘hitch’. To win you must score a ‘back’, throwing your opponent onto his shoulders and hips – his four ‘pins’; at least three pins must touch the ground at once. Once a back’s scored the contest is over, but single-pin scores can accumulate toward a points win if no back is achieved. Sound’s easy? In fact there are many different techniques and throws you can use to defeat your challenger. Crooks and heaves are among the most popular, crooks being variations of trip to catch your adversary unawares, while heaves are often used by heavier, more powerful wrestlers to lift the opposition up in the air and fling him down on his back. If any part of the body except the feet touches the ground, the hitch ends and the bout must restart. And always there’s the traditional courtesy of the handshake, before the bout, prior to each hitch, and at the end of the contest. 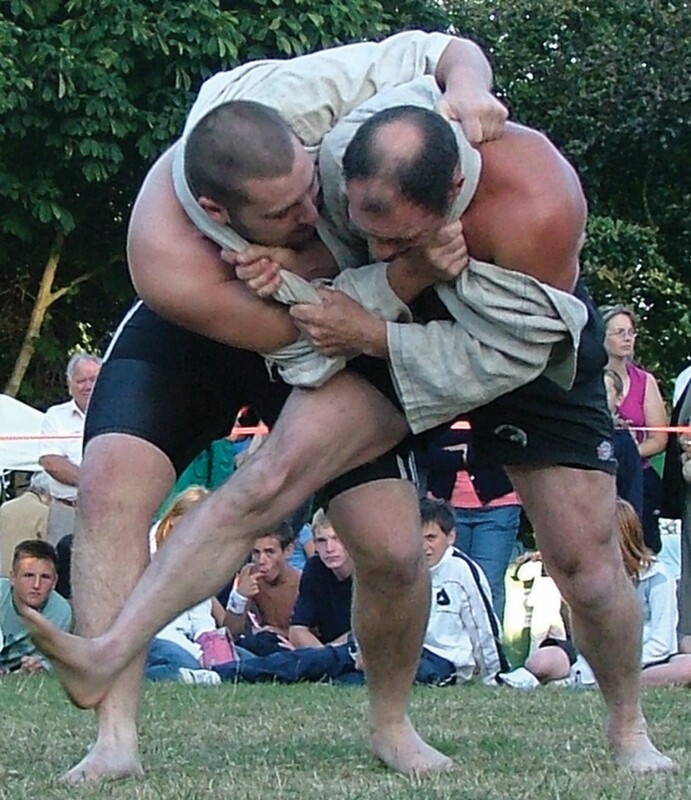 Cornish wrestlers go barefoot or wear socks, together with simple shorts. Their most important piece of clothing is the canvas jacket, in past times sometimes made of sailcloth or even sacking, laced at the front and with baggy half-sleeves. It’s an indispensable item which must also be durable; contenders are only allowed to grip each other by the jacket. Specialist moves such as the ‘flying mare’ involve grabbing your opponent’s jacket strings, swinging him off-balance and onto the ground. 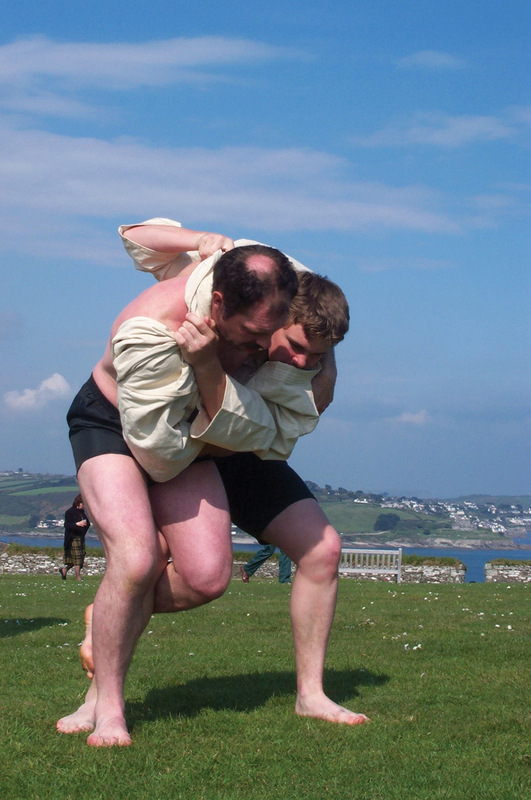 As they gain experience, Cornish wrestlers develop their own moves and counters, but some methods aren’t allowed. Finger- or wrist-twisting is forbidden; throat-holds, using your foot above your opponent’s knee or gripping his jacket below the waist are also out, as is touching the ground with your hand or knee to avoid being flung through the air. 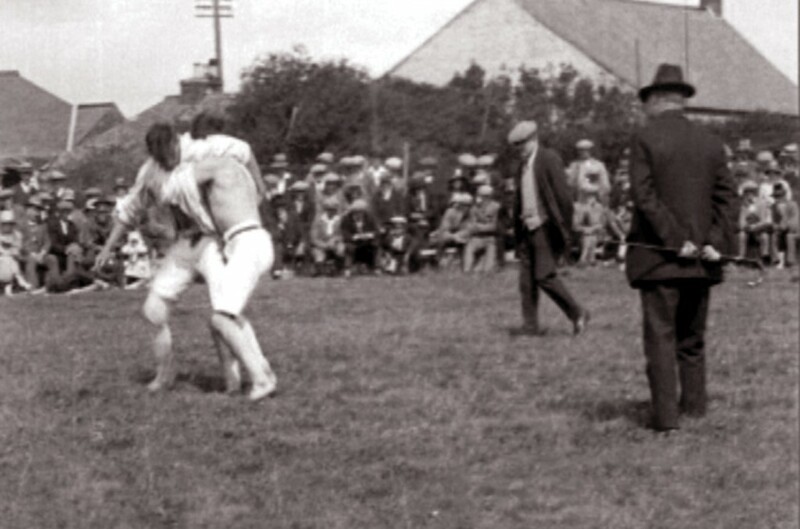 Wrestling matches take place mainly in the summer, outdoors on grass; a 6-metre radius ring is marked out, together with an outer ‘no-man’s land’ into which spectators may not enter. Typically, for senior competitors one 10-minute round is allowed, overseen by three ‘sticklers’. These umpires are usually ex-wrestlers themselves; they carry walking-sticks traditionally used to enforce the rules if needed. The sticklers score the bouts, watch for illegal moves and their decisions are absolute – there’s no right of appeal for feeling hard-done-by and the wrestlers accept judgements with good grace. Over time, Cornish rivalry with the Devonian neighbour has taken countless forms; wrestling bouts between Duchy and county were particularly bruising encounters. The Devon men’s techniques included ‘out-play’, a form of kicking and tripping sometimes scorned by Cornishmen. 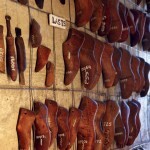 Under Devonian rules hard shoes were allowed; bouts could degenerate into shin-kicking endurance contests, eye-wateringly painful but with no finesse. Huge crowds would watch the competitions, which were most popular during the 19th century. The events were favoured by gentlemen gamblers and big stakes could change hands; for the winning contestants there was substantial prize-money, and sometimes handsome belts worth £50 or more. Wrestlers from those times are still remembered today. Thomas Treleaven and Benjamin Samble both stood 6’ 2”, while from St Mawgan came six-footer Richard Parkyn; at 16½ stone he competed until his 50s. Parkyn was born at Parkyn’s Shop, at the point of three parish boundaries: St Columb Major, St Columb Minor and St Mawgan. From 1806 he enjoyed a staggering 20 years undefeated and became known as The Great Parkyn, celebrated from Saltash to St Just. Richard Parkyn was followed by James Polkinghorne, a truly huge man. At 5’ 11” and just under 20 stone – according to some reports he weighed 320 lb – he was an intimidating prospect for any opposition. He duly became Cornish champion and was also landlord of St Columb Major’s Red Lion public house, which must have been handy on Saturday nights if anyone dared become playful. During 1826, late in the season on 23October, Morris (or Morice) Town at Devonport saw the last great wrestling battle between Cornwall and Devon. Watched by as many as 17,000 people, the purse was a staggering £200. For Cornwall appeared the giant 38-year old Polkinghorne, while Devon fielded their champion, Abraham Cann, at 32 a mere 5’ 8½” and weighing around 12½ stone. At first sight the outcome might have been felt a foregone conclusion, but the bout was fought under Devonian rules. Polkinghorne’s upper body attacks were pitched against the kicking, with boots, of his opponent; Cann was reportedly strong in the leg, and nimble. Today the result of the encounter isn’t clear to us, but it seems the contest was a long one and finally ended in a draw. Nearly 20 years following their retirement from wrestling the two old adversaries worked together, acting as sticklers at the Inter-County Wrestling Championships at Camden in London. They officiated at the clash between Thomas Gundry and Chapple of Devon, which ended in victory for Cornwall. 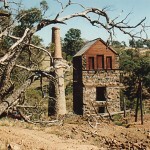 A sour Exeter newspaper correspondent accused Gundry of winning through bribery but when challenged by the Sithney man, his accuser melted away. In hard times at home, as Cornish miners emigrated they took Cornish wrestling with them. 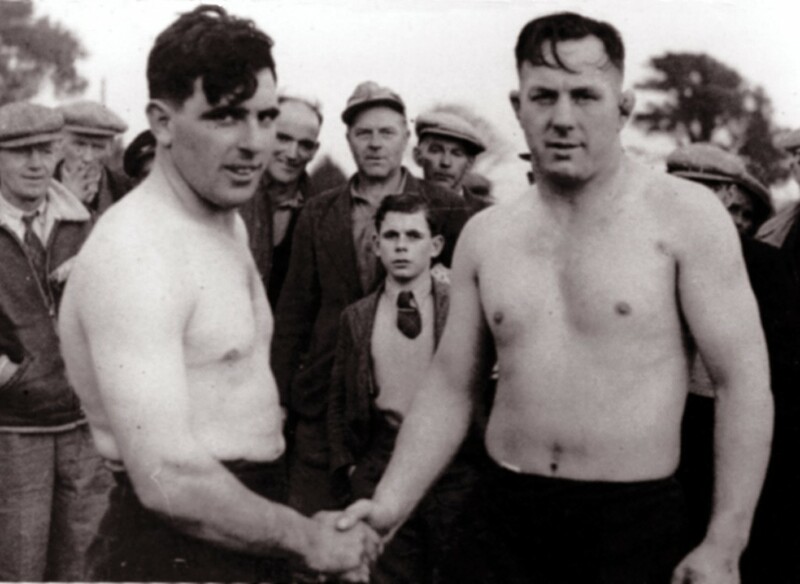 Competitions sprang up across America, Australia, and also South Africa where the renowned Sam Ham, originally from Condurrow near Camborne, became Middleweight Champion. Finally, in 1923 the Cornish Wrestling Association was formed at Bodmin, to provide a uniform set of rules under which all could compete. 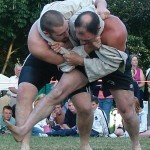 Wrestlers became registered, and an annual Cornish championship was held. During the 1930s and ‘40s, several members of the Chapman family achieved great wrestling success; grandfathers, fathers and sons all fought. 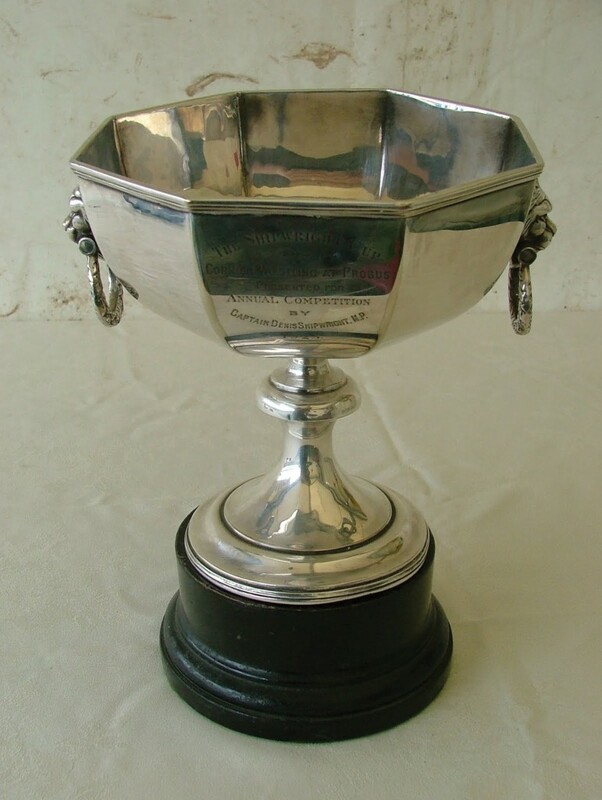 Many Cornish towns and villages held tournaments, and hundreds would turn out to watch the contests. Other well-known wrestling families were the Hawkeys and the Warnes, but the most famous competitor of his day was heavyweight champion Francis Gregory of St Wenn. Gregory had his first match at the age of 13, and was youngest of the Cornishmen who showed their skills at London’s Palladium threatre in 1927. Seven times from 1928 he represented Cornwall at the official Cornu-Breton Championships: seven times he won, on four occasions in Brittany. Later he moved north, changing his sport to play rugby league for Wigan and Warrington, and was capped for England. Taking up professional wrestling he became known as Francis St Clair Gregory, and during November 1955 appeared in the first wrestling match shown on British television. 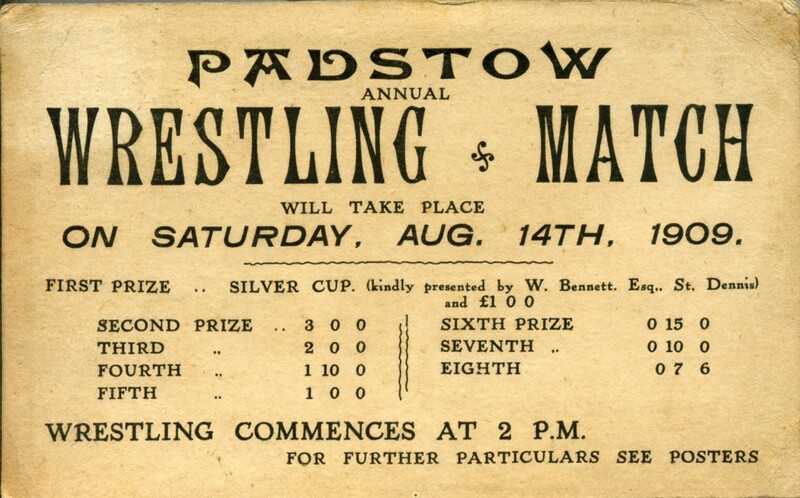 More recently though, in the face of fierce competition and promotion of other sports, interest in Cornish wrestling waned until just a small band of stalwarts were left. 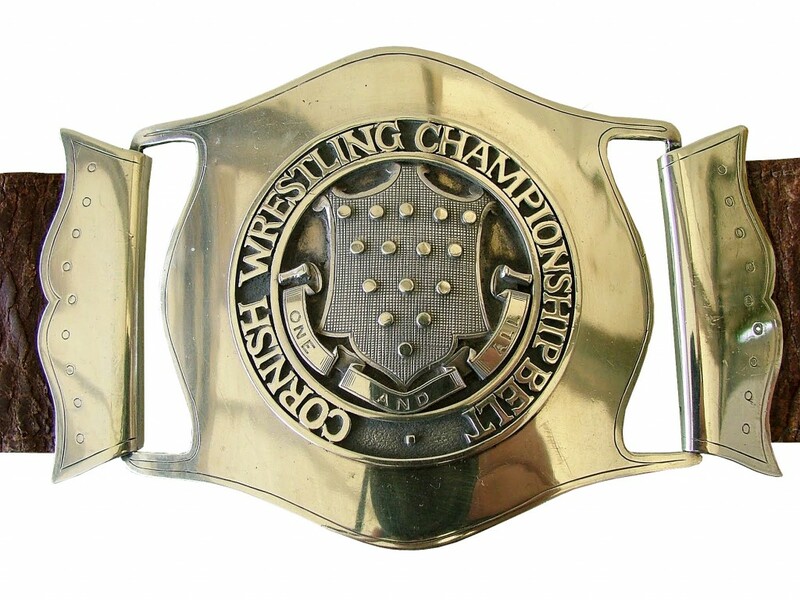 To put a stop to the decline, help raise awareness and secure funding, during 2004 the Cornish Wrestling Association became affiliated to the British Wrestling Association. Publicity was increased, while training sessions for would-be wrestlers were established in Helston, Truro and Wadebridge. The measures have helped ‘wrasslin’ make a strong comeback. Based at St Columb Major, today Ashley Cawley is Cornwall’s current Heavyweight Champion; he’s also the CWA’s PR officer, while his uncle Mike Cawley is the Association’s Chairman. Last year, Ashley’s father Gerry came out of his wrestling retirement to win two championships. Over the summer months the CWA runs tournaments in villages and towns across the Duchy, and also features at the Royal Cornwall Show. All ages are welcome to try the sport; categories include under-18s, under-16s, under-14s, under-12s, even under-10s. Today too there’s a tablet on the frontage of the Red Lion, commemorating St Columb Major’s James Polkinghorne and his mighty 1826 contest against Abraham Cann. Church Hall, St Columb Major. 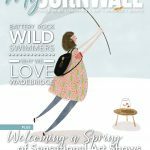 The writer would like to thank Gerry Cawley, Cornish Wrestling historian, and Ashley Cawley, the Cornish Wrestling Association’s Press and Website Officer, for their generous help in connection with this feature.